Image via WikipediaI received an email last Friday letting me know that my DNA sample had been received. I felt the anticipation of the results heighten within me. The six to eight week wait will be hard. While I read over the email, tears started streaming down my face, and they were not tears of joy. A feeling that I had subconsciously repressed came rushing forward uncontrollably. A pain so severe and very deep had me so astonished that I could not articulate it. I knew that it had been with me for as long as I could remember, but somehow I had not experienced it so. So why was I feeling the full weight of it then? Where was it coming from? I wanted it go away. I wanted to push it back to where it had been lying dormant, but I really think someone wanted me to analyze it so that I could understand there are others who carry it unknowingly. There are those who carry it and have not been hindered to the degree it has effected me, and there are others whose lives have been destroyed by it unawares. All I could do was to utter a prayer for guidance. The answer came quickly. "This is what it feels like to not know where you come from." In my mind, I answered, "But I know I am a child of God." Then the reply came that it was not by design that I or anyone should move through this life not knowing who our ancestors are or where they came from. Image via WikipediaI was told that I had been shielded from the pain, and I was being shown what that pain felt like. I was told that it was a gift being granted to me to know the places where my ancestors originated. For me, I could look forward with hope and I would not carry this pain any longer even subconsciously. However, many have this subconscious pain, and it is destroying their lives. It was never intended that they should experience the removal of their heritage, and it was never intended that they should know what it felt like to live in a place where they were not accepted wholeheartedly. I felt the pain surface of what it feels like to have your heritage, your history, the knowledge of who you are, and the knowledge of where you have come from taken away. I felt the pain of what it feels like to have the blood of ancestors run through me whose descendants would be hesitant to claim me. I felt the pain of being able to document them so extensively and not the ones for whom my genetic makeup signifies I am. When my results come in, I am anxious to know from what part of Africa I am from, but I claim the whole continent. I will be able to study the pre-1800 history and understand the contributions of my forebears and their existence before American chattel slavery. I may never know their names in this life, but this connection will bring me one step closer to who I am. I will be able to discover living people who carry the same mitochondrial DNA. As hope restored and the pain subsided, I thought of how my family will be blessed by this gift. Then I wondered, am I reaching others who carry this pain? Who is most effected by it? Perhaps it's our youth who struggle and have lost their way. I feel a sense of responsibility because I escaped the paths they now trod mostly because of Divine Intervention. I want to reach those suffering because they do not know who they are. If you do not fall in that category, then please let us continue to search out and help those who do. Often on the brink of tears while I read, “150 Years Later” has left me beyond words. It is a total masterpiece...a miraculous story full of mini miracles! The painstaking efforts of Melvin J. Collier to uncover his ancestry and to identify each member of the family group of Lewis and Fanny and their whereabouts had me cheering for his success the whole way though the book. I was incapable of holding the yearnings for my own Abbeville County ancestors at bay. My heart raced forward in anticipation of each new discovery of fact, locality, and person. He left no stone unturned in his search. He relied on the oral history of the oldest living descendants, but he also produced historical documentation in his unrelenting search. Mississippi research can be quite merciless, but following Melvin's trail brought to light some unique methods that I too can employ in the search of my Mississippi ancestors. A true genealogist, he managed to carve out time to spend researching in archives and interviewing extended family members and planning reunions notwithstanding his busy schedule. He succeeded in giving voice to the gut instincts often employed when tracking ancestors. I enjoyed being reminded of what it was like to research before the advancements in technology and availability of resources that are at our disposal now. I have a renewed appreciation for the resources at our fingertips today. How far we have come in social networking which not too long ago consisted of posting in a forum and waiting for what seemed like an eternity for a response. “150 Years Later” kept me on the edge of my seat throughout the entire book. I appreciate so much how easily it was to follow Melvin's deductions and thought processes as he queried and researched and deduced and concluded and discovered more leads. He was ever true to acknowledge that research success involves being thorough and applying faith. Intertwined within each yearning to know and each of his discoveries were his sense of approval of his ancestors and his desire for completion and healing. The many references to “Broken Ties Mended” will be ones that you will have to get the book to decipher completely. Let me just close by saying that it incorporates ALL the STUFF that every African American family historian dreams about experiencing one day! I do not know how anyone who read this book could not come away feeling a renewed determination to complete his or her own ancestor's story and connect to living family members. 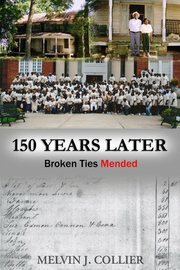 “150 Years Later” for me, stands as the standard to shoot for! 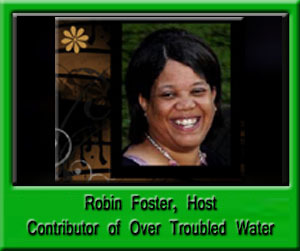 You will not want to miss tonight's episode of Over Troubled Water Blog Talk Radio. Author, Don S. McClure will join us to tell us about his book, Broken Wings Fallen Angels, which I feel is one of the best applications of family history, faith, and conversion that I have seen. I enjoyed it, and I feel this book should be placed in the hands of every young African American male to help him in his quest to find himself notwithstanding all the challenges he faces. "As you travel through these pages, I will reveal to you my issues of self-determination and how I discovered what it is I wanted out of life. Equally important are the dreams and aspirations that took me there. It is also the story of the examination of the commitment to purpose that drove me to succeed, and the betrayal of good decisions that brought me down to my lowest points. The issues of diversity, cultural bias and the racism I faced in my personal as well as corporate life also play a strong role in this tale. You will become aware of the trials and tribulations that filled many days, months and years on my road to successful realization of the value of my creative talent and the gifts God has given me in order to become triumphant. From my birth to my adventures you will pass through various doors with many names, dates and places. The results will be amazing at some moments, while in the next there will be sadness and pain. Through it all, I can only hope you find your own self-value. But this much I do know, in the end you can only become what you have inside." Don's triumph and book fits in well with tonight's topic, "Teaching Family History Strengthens Youth." Please join our discussion at 8PM EST. Log in to participate with us in the chat room or listen by computer online. If you want to speak to our guest or ask a question, call (424) 675-8247 and press 1. Times are tough for our youth today. So many traps and vices are waiting to snare them. We cannot just wait for the right time to fortify them. The village has got to come together on this. We need a safe haven for the vulnerable. We need to be teaching about the great people who paved the way before them. Parents may need help from the grandparents and from the village in teaching our youth about our heritage. See About 50 teens arrested for violating earlier Philly curfew meant to curb violent youth mobs. They must understand that their time is better spent preparing for their future rather than hanging out on corners late at night. It is a shame law enforcement recently took the place of adult supervision and led to incarceration. They need to feel the weight of the responsibility we all have to be true to the desires and hopes and dreams of our ancestors. How will they do this if we do not work to help them know of those ancestors? 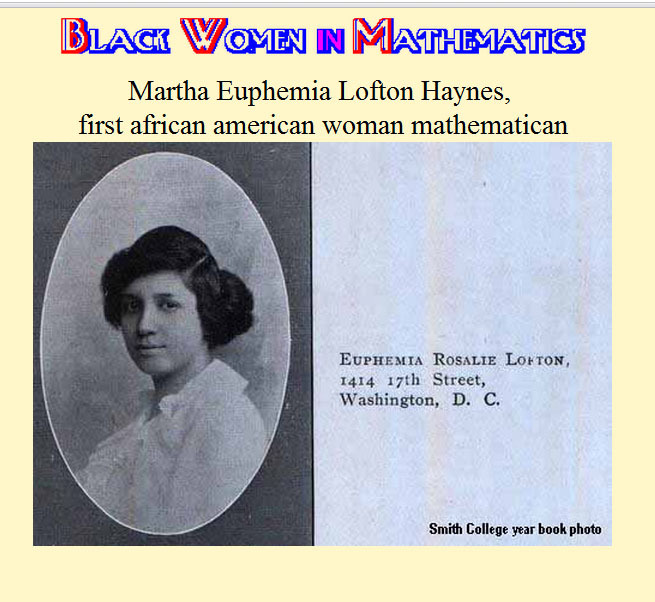 How will they do this if we do not spend the time teaching and sharing the history and the stories? What will the future be like if our youth grow up no linger feelling accountable to preserve their heritage and live the principles they have been taught? Do you have children or grandchildren or children in need of positive reinforcement or role models in your neighborhood? Join host, Robin Foster, and guest,Queen Sheba, as we discuss this topic on our next episode of Over Troubled Water Blog Talk Radio: Teaching Family History Strengthens Youth on Wednesday at 8PM EST. We will also be hearing from author of Broken Wings Fallen Angels, Don McClure. 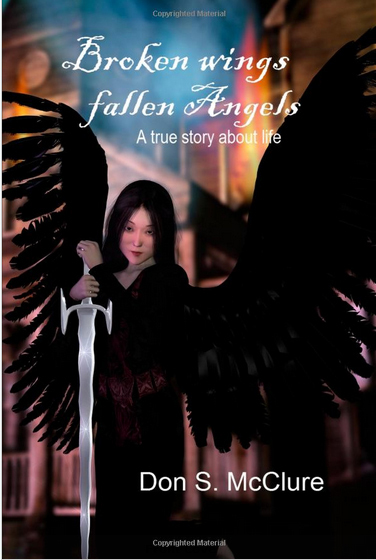 Broken Wings Fallen Angels is a true story about his life and family history. His book is available at Amazon. Queen Sheba Sings "Strange Fruit"
" Strange Fruit" was a poem written by Abel Meeropol, a Jewish high-school teacher from the Bronx, about the lynching of two black men. He published under the pen name Lewis Allan. In the poem, Meeropol expressed his horror at lynchings, possibly after having seen Lawrence Beitler's photograph of the 1930 lynching of Thomas Shipp and Abram Smith in Marion, Indiana. 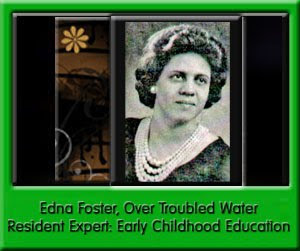 He published the poem in 1936 in The New York Teacher, a union magazine." See Strange Fruit. I received this message from Munya Muzenda, from Zimbabwe. I am happy to share it with the readers and listeners of Over Troubled Water. "Always remember the Golden Rule: Treat others the way you want to be treated. Even though some people may not be nice to you at first, they will the more they get to know you. Assume the best about people. Most people don't mean to insult or offend others most of the... time. Bad language, gossiping, whining, selfishness and greediness don't mix with being nice. Let us all be nice and feel good. That's our golden rule towards World Peace, harmony, love and understanding amongst people." Please join us this evening for our show: Oral History and the Origins of the Blues. African American History Monument on State House grounds downtown Columbia, SC. State House grounds where US Flag and Confederate flag are displayed. Cover of The HelpThis morning, while listening to the WAPT.com Wednesday Morning Webcast, I discovered that it was reported on Feb 2011 that maid, Ablene Cooper, is suing Kathryn Stockett because the likeness of Aibileen in her novel, "The Help." Ms. Cooper, who works as a maid for the brother of Stockett is shocked and humiliated at the stereotypes surrounding her likeness and that her name would be used. It has been reported the Ablene Cooper babysat for Kathryn Stockett's children before, but Stockett claims that she does not know her. She says she has only spoken to her for 15 or 20 seconds in saying hellos. See 'The Help' Lawsuit Hearings to be Held Days after Movie's Release. 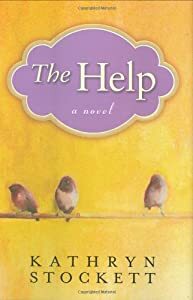 See: A Critical Review of the Novel, "The Help." The recent happenings in Jackson, Mississippi has triggered the memory of a song I wrote telling the story about when we escaped from Mississippi in the 1960's. My mom had gotten tired of being mistreated and cheated. She left and went to Florida to find a place that was better and safer for us. As a child, I did not understand and was sad to see her leave. Many were left there, but my mom came back for us. I am so happy about that. This is one of the songs I dedicated to my mom for her courage in removing us from that place. The song, "Blues of My Soul," is available on my album, "Butter on My Roll." 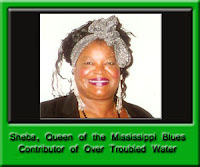 Please join us tomorrow night at 8PM EST on Over Troubled Water Blog Talk Radio for our show Oral History and the Origins of The Blues. Sheba will be our special guest along with Miami-Dade professor, Rob Moore. 10 Yr Old Films 1st Oral History Video! Hello my little friend! Thanks for sharing your first video and filming my dear friend, Sheba. I am very proud of you. The stories of our history are so very important to us. I learned a lot listening to the stories told to me going up. They have helped me in my life to make good choices. I am sure you are learning a lot and will be able very successful in life. I heard you got a new tripod today! Keep up the good work! Updated 8/10/2011 Memorial for James Craig Anderson was held at First Hyde Park M.B. Church in Jackson Mississippi on July 2nd. To the family of James Craig Anderson: We express our deepest heartfelt sympathy to you in the loss of Brother James Craig Anderson. You are in our prayers and petition our Heavenly Father to bless you in this time of grief. We pray that you will feel the love and closeness of family and friends and community. We are prayerful that your family will be kept safe and that everyone responsible for this terrible criminal act will come to be brought to justice. All that we do to educate and strengthen from this day on at Over Troubled Water will be done in the memory of the life James Craig Anderson and all of the countless and nameless fallen victims of hatred and racism. 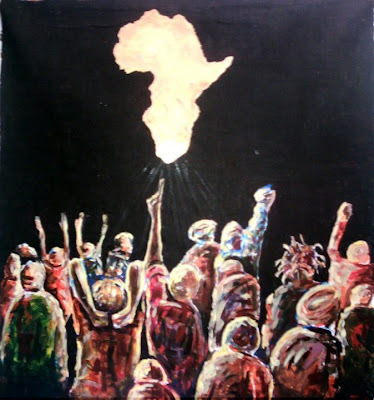 We pledge to continue the dialog surrounding 2011 being the United Nation's International Year of People of African Descent, and we will continue to identify the things we can do to discourage racism and hatred in all forms but with an even stronger zeal than we have previously demonstrated. Munyaradzi Muzenda is the Director of Africa Speaks, an organization which will celebrate it's 10th anniversary on October 27th this year and is located in Marondera, Zimbabwe, a town of about 100,000 residents. See video within article below. 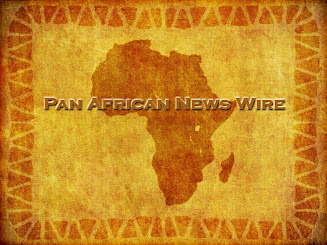 "Many African young people are found roaming in the streets despite having completed their formal education. Others have no means of gaining formal education, as such, the educated without employment and the uneducated without employment forms a greater part of Zimbabwe, SADC and the African’s population. These eventually turn to various illegitimate and sometimes illegal activities in search of live hood, for lack of nothing better to do and in the hope of achieving something at the end of the day. As a result of this, many young people are prone to ill behavior which consequently affects their well being in terms of health, social status, and potential to become a better person with much to offer to Africa." Africa Speaks has set a goal to shape the next generation of entreprenuers in agriculture where they will work to become stakeholders land offered to Africa Speaks by the Municipality of Marondera. We look forward to learning more about Munya and Africa Speaks. 1. He will share the artwork of the youth of Zimbabwe and interpret it for us. 2. 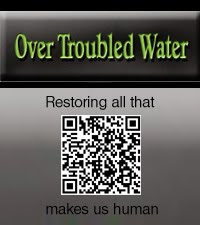 He will contribute stories on video to Over Troubled Water. 3. He will share videos of historical landmarks and significant places in Zimbabwe and other regions. 4. 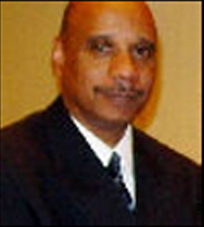 He will help us understand how to conduct genealogy research in Africa as well as teach us the importance of names in Africa using articles and video. 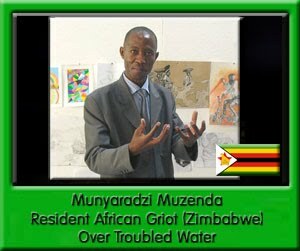 I had a great planning meeting with Munya today, and he will tell is first story on our Blog Talk Radio Show tonight at 8pm Eastern: Over Troubled Water. You will not want to miss it! UPDATE: Great show last night! Listen below!